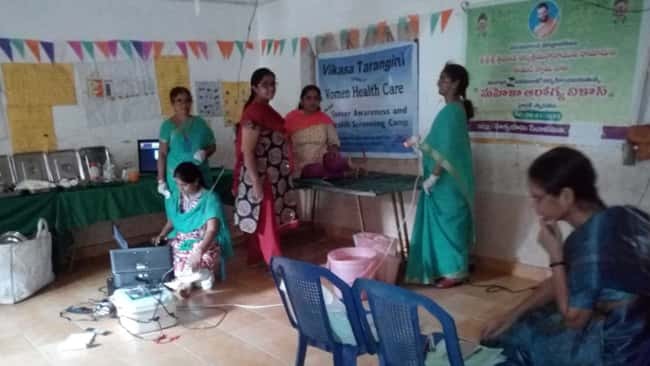 Two separate Mahila Arogya Vikas Camps were held on 16th and 17th in Mancherial with the coordination with JET Mancherial. One was conducted in Chandravelli village at Bellampalli Mandal. Around 175 villagers availed the services. 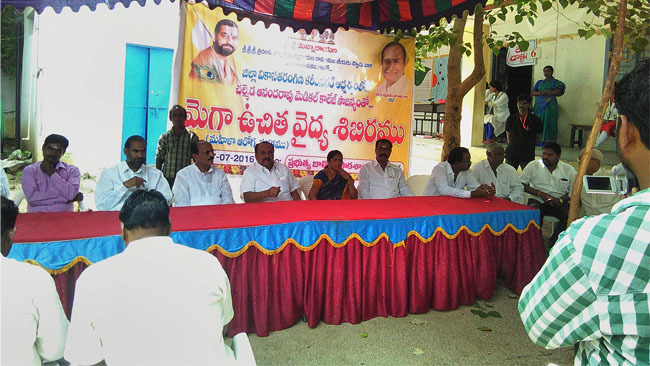 This program was conducted in cooperation with Usha Ji & Suresh Ji with help of Sarpanch, MPTC and VT Mancherial District president A.Rajeshwer Rao,Narsing Rao,Hanmanth Rao,Prabhaker Raju,Smt Uma and Manju bashini group. Another Mahila Arogya Vikas camp was conducted in Mancherial Social welfare Women Residential Degree college. Around 500 and above students participated in this awareness program, with co-operation of college principal K.Venkanna and staff. This program was taken up by Smt Madavi Ravindra with helpful coordination of the school staff.